Cackley Swamp is located adjacent to Cooper Hollow Wildlife Area in southern Jackson County near the town of Pyro. (Locate Pyro on a map, and you will see the swamp). AOA’s ownership includes 220 acres with frontage on CH&D Road Pyro Road, and Harmon Road. 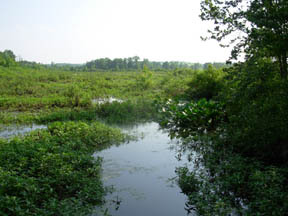 The preserve includes primary, secondary, and tertiary streams which are part of the Symmes Creek watershed surrounded by emergent and deep water wetland. Much of this area is too shallow for a canoe, but too deep for hiking boots. Ducks, muskrat, and beavers love it, and otters are reported to be residents as well. 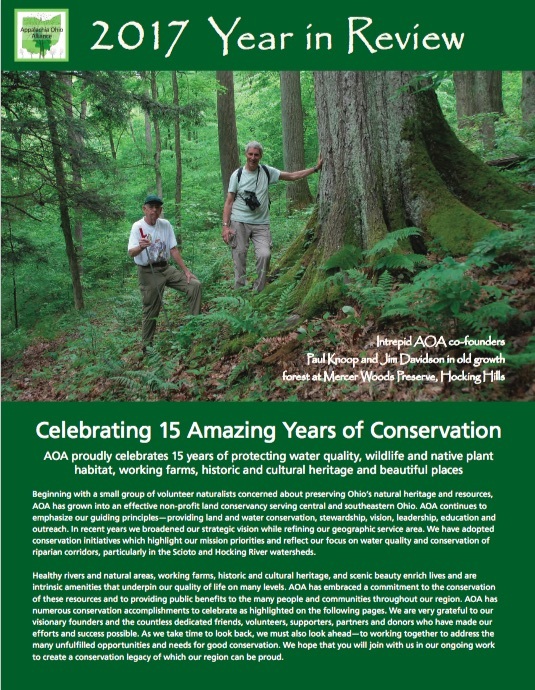 This land was purchased by AOA through a grant from the US Fish and Wildlife Service.